U.S. officials say the number of active-duty troops on the border with Mexico will drop from 5,600 to about 4,000, and their deployment will be extended through the end of January. Officials say the Department of Homeland Security submitted a formal request for the additional military support Friday. It hasn't been approved by Defense Secretary Jim Mattis. But military officials have been working with DHS for weeks to help craft a request that would be accepted by the Pentagon. 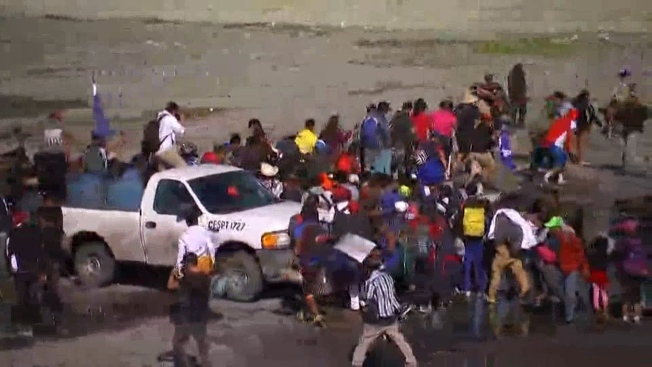 President Donald Trump deployed the troops to the border in response to a caravan of migrants walking to the U.S. from Central America. Critics have called the deployment a political stunt before the midterm elections. U.S. officials talked about the troop deployment on condition of anonymity to discuss internal deliberations.